Curtis Mayfield (June 3, 1942 ? December 26, 1999) was an American soul, funk and rhythm and blues, singer-songwriter and guitarist from Chicago, Illinois. Mayfield is probably best known for his anthemic music with The Impressions and for the soundtrack to the blaxploitation film Superfly. Perhaps because he didn't cross over to the pop audience as heavily as Motown's stars, it may be that the scope of Curtis Mayfield's talents and contributions have yet to be fully recognized. Judged merely by his records alone, the man's legacy is enormous. Mayfield is probably best known for his anthemic music with The Impressions and for the soundtrack to the blaxploitation film Superfly. Perhaps because he didn't cross over to the pop audience as heavily as Motown's stars, it may be that the scope of Curtis Mayfield's talents and contributions have yet to be fully recognized. Judged merely by his records alone, the man's legacy is enormous. As the leader of the Impressions, he recorded some of the finest soul vocal group music of the 1960s. As a solo artist in the 1970s, he helped pioneer funk and helped introduce hard-hitting urban commentary into soul music. "Gypsy Woman," "It's All Right," "People Get Ready," "Freddie's Dead," and "Superfly" are merely the most famous of his many hit records. But Curtis Mayfield wasn't just a singer. Born in in Chicago, IL, he wrote most of his material at a time when that was not the norm for soul performers. He was among the first -- if not the very first -- to speak openly about African-American pride and community struggle in his compositions. As a songwriter and a producer, he was a key architect of chicago soul, penning material and working on sessions by notable Windy City soulsters like Gene Chandler, Jerry Butler, Major Lance, and Billy Butler. In this sense, he can be compared to Smokey Robinson, who also managed to find time to write and produce many classics for other soul stars. Mayfield was also an excellent guitarist, and his rolling, Latin-influenced lines were highlights of the Impressions' recordings in the '60s. During the next decade, he would toughen up his guitar work and production, incorporating some of the best features of psychedelic rock and funk. Mayfield began his career as an associate of Jerry Butler, with whom he formed the Impressions in the late '50s. After the Impressions had a big hit in 1958 with "For Your Precious Love," Butler, who had sung lead on the record, split to start a solo career. Mayfield, while keeping the Impressions together, continued to write for and tour with Butler before the Impressions got their first Top 20 hit in 1961, "Gypsy Woman." Mayfield was heavily steeped in gospel music before he entered the pop arena, and gospel, as well as doo wop, influences would figure prominently in most of his '60s work. Mayfield wasn't a staunch traditionalist, however. He and the Impressions may have often worked the call-and-response gospel style, but his songs (romantic and otherwise) were often veiled or unveiled messages of black pride, reflecting the increased confidence and self-determination of the African-American community. Musically he was an innovator as well, using arrangements that employed the punchy, blaring horns and Latin-influenced rhythms that came to be trademark flourishes of Chicago soul. As the staff producer for the OKeh label, Mayfield was also instrumental in lending his talents to the work of other Chi-town soul singers who went on to national success. With Mayfield singing lead and playing guitar, the Impressions had 14 Top 40 hits in the 1960s (five made the Top 20 in 1964 alone), and released some above-average albums during that period as well. Given Mayfield's prodigious talents, it was perhaps inevitable that he would eventually leave the Impressions to begin a solo career, as he did in 1970. His first few singles boasted a harder, more funk-driven sound; singles like "(Don't Worry) If There's a Hell Below, We're All Gonna Go" found him confronting ghetto life with a realism that had rarely been heard on record. He really didn't hit his artistic or commercial stride as a solo artist, though, until Superfly, his soundtrack to a 1972 blaxploitation film. Drug deals, ghetto shootings, the death of young black men before their time: all were described in penetrating detail. Yet Mayfield's irrepressible falsetto vocals, uplifting melodies, and fabulous funk pop arrangements gave the oft-moralizing material a graceful strength that few others could have achieved. For all the glory of his past work, Superfly stands as his crowning achievement, not to mention a much-needed counterpoint to the sensationalistic portrayals of the film itself. At this point Mayfield, along with Stevie Wonder and Marvin Gaye, was the foremost exponent of a new level of compelling auteurism in soul. His failure to maintain the standards of Superfly qualifies as one of the great disappointments in the history of black popular music. Perhaps he'd simply reached his peak after a long climb, but the rest of his '70s work didn't match the musical brilliance and lyrical subtleties of Superfly, although he had a few large R&B hits in a much more conventional vein, such as "Kung Fu," "So in Love," and "Only You Babe." Mayfield had a couple of hits in the early '80s, but the decade generally found his commercial fortunes in a steady downward spiral, despite some intermittent albums. On August 14, 1990, he became paralyzed from the neck down when a lighting rig fell on top of him at a concert in Brooklyn, NY. 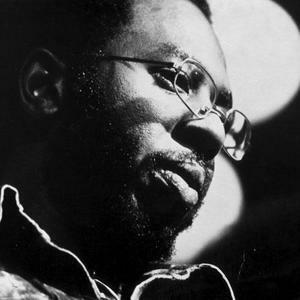 In 1993, three years after the accident which caused Mayfield's paralysis, Shanachie records released the album People Get Ready: A Tribute to Curtis Mayfield featuring a.o. Jerry Butler, Don Covay and Steve Cropper. Mayfield received the Grammy Lifetime Achievement Award in 1995. Curtis Mayfield died December 26, 1999 at the North Fulton Regional Hospital in Roswell, Georgia.